At the beginning of September, Justine Tabak launched her first eponymous collection. 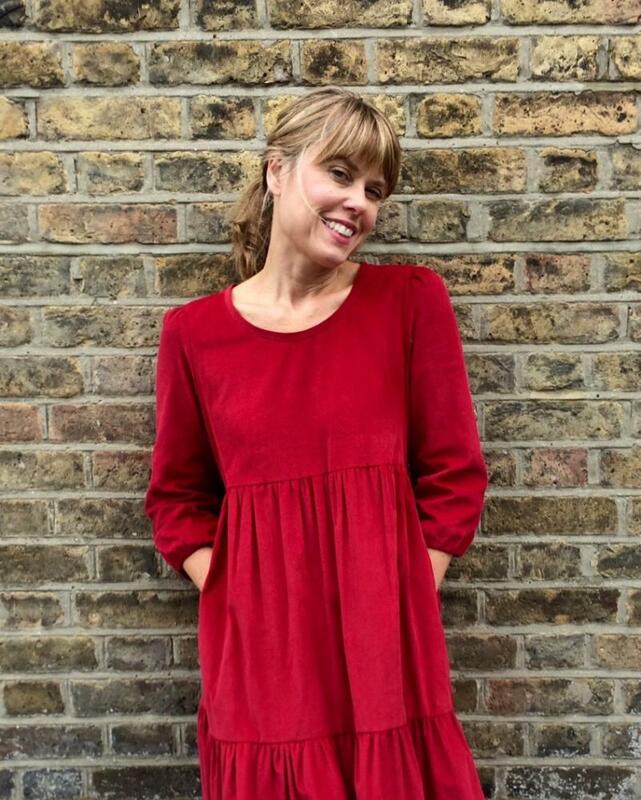 At 52, with a high-flying career as a designer and creative director with Fendi, Laura Ashley, M&S, Jigsaw, LK Bennett and Boden under her belt, Tabak is treading tentatively with her fledgling label. So why did she walk away from a secure, well-paid and coveted job with a high-profile brand, to risk everything in a highly competitive marketplace? Tabak’s start-up works with a small family-run factory in London that also works with established labels such as Victoria Beckham, Roland Mouret and House of Holland. And they are not alone: a number of smaller enterprises, high street brands and international labels are supporting the resurgence of the UK as a fashion manufacturing hub. Justine Tabak wearing a Petticoat Lane red corduroy dress from her Match Girl collection. As a fashion consultant and a former head of UK production for Roland Mouret, Daliah Simble-Hearn, explains: “I can remember a time when London was full of pockets of manufacturers, and you could spend a day going from factory to factory. Just this month, English Fine Cottons, a brand new, state-of-the-art spinning business, opened in a reconditioned mill in Tameside, Greater Manchester, in a bid to satisfy demand for luxury goods with a “Made in Britain” stamp, throughout the supply chain. According to the UK Fashion and Textile Association, this renewed interest in British-made clothing and textiles has seen the number of people employed in the sector grow by 9% in the past five years, with predictions that up to 20,000 more jobs could be created by 2020. Nicola Woods’s womenswear label, Beautiful Soul – which was launched five years ago and is worn by the likes of Taylor Swift, Livia Firth and Pippa Middleton – is created in and around London, and Woods aims to open her “own manufacturing unit in England and develop international wholesale distribution”. When former Gap PR Buffy Reid and her father, Columba, a retired knitwear industry executive, launched their label And Daughter three years ago, they wanted to support the mills and factories in Donegal and Scotland by producing a contemporary collection of timeless knitwear staples. Starting with 10 styles, they have evolved to sell 40 pieces via their website, Selfridges and the Conran Shop in London as well as independent stores in Japan, the US and Europe. Basing their production in Britain enables those behind the brands to meet face-to-face with fabric producers and printers, cutters, machinists and others involved in the process, giving them more control over the entire process. Kate Hills, a former designer and buyer for M&S and Burberry, founded Make it British six years ago in response to growing demand for UK manufacturing, and helps match designers and brands to production facilities. “I could see prices in the Far East were going up and wanted to do what I could to help the dwindling supply chain we have in the UK, which is still held in high regard around the world,” says Hills. And, while the pound is weak and the international luxury goods houses struggle to define what high-spending customers want and to retain the prestige of their labels, the renaissance of craftsmanship seems to be helping the boom in British manufacturing. Mimi Berry’s handbags are created in factories in London, Manchester and the West Country. 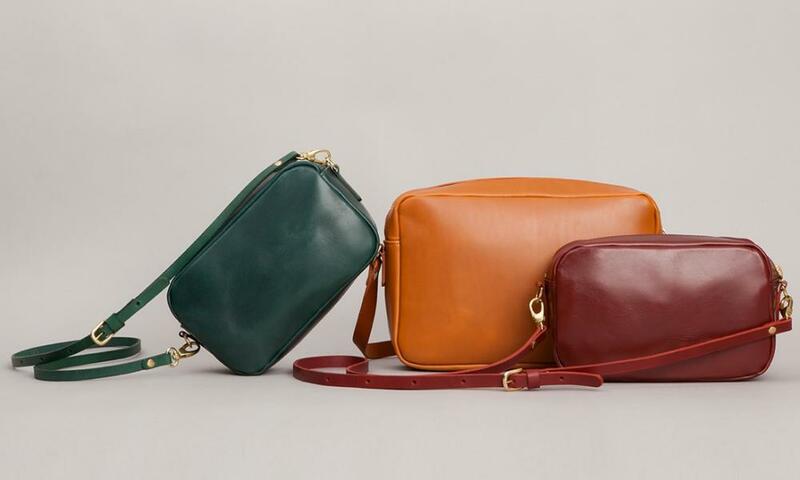 Mimi Berry launched her leather accessories brand in London’s East End 15 years ago, and now uses three local factories as well as one in Manchester and another in the west country – staffed by a number of former Clarks shoes workers – to produce around 1,400 handbags and satchels each season. “We have stockists in Paris who sell our bags alongside Louis Vuitton and YSL, and so we are seen on a par with homegrown French brands,” says Berry of her collection, which exports to Japan, France, Switzerland and the US.